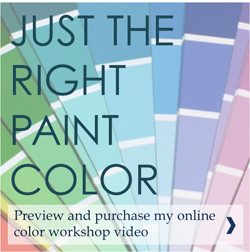 Last week, I took a “working retreat” down to the Florida panhandle to focus on my online exterior color course. 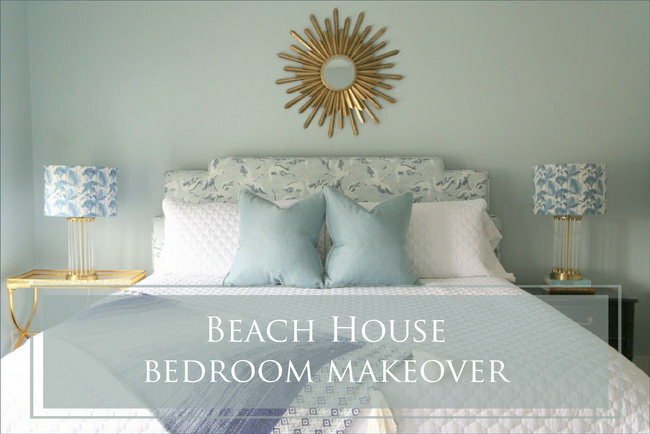 When I returned, it dawned on me that I never posted the befores and afters of some of the bedrooms and bunk rooms in the beach vacation house project I completed last spring! On this frigid winter’s day, I thought it might warm me up a bit to share them with you! 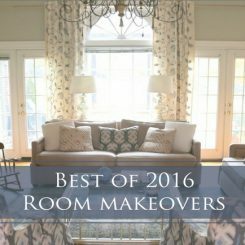 We cleared out practically everything in this room to make way for an entirely different feel, but we did keep the shades and the ceiling fan. 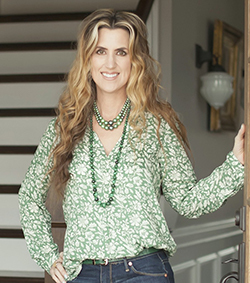 The new wall color is Benjamin Moore Steamed Spinach 643, which I’ve previously used here and here. 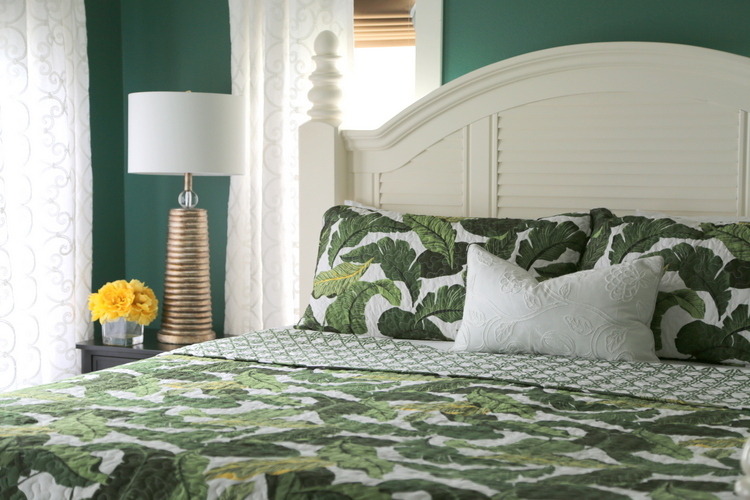 You can find similar palm leaf bedding here. 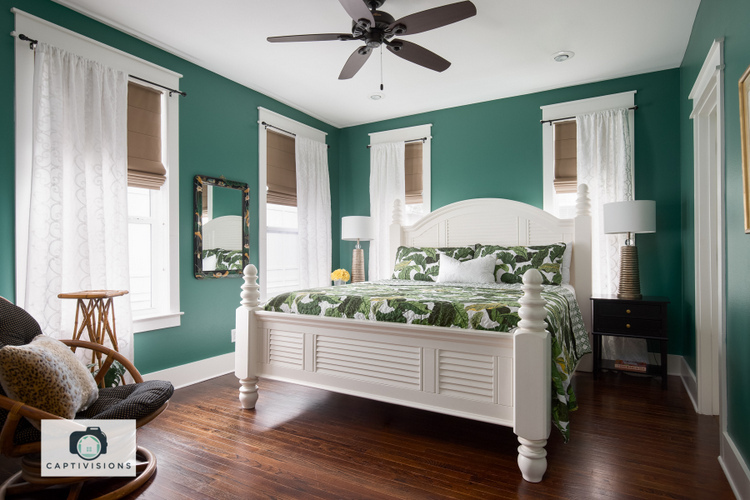 Although there’s still plenty of color in this bedroom, it’s a brighter and more peaceful place in the “after.” The wall color is Benjamin Moore Silken Pine 2144-50, which is a fresh and fantastic off-white with a hint of mint that I used for the majority of this house. 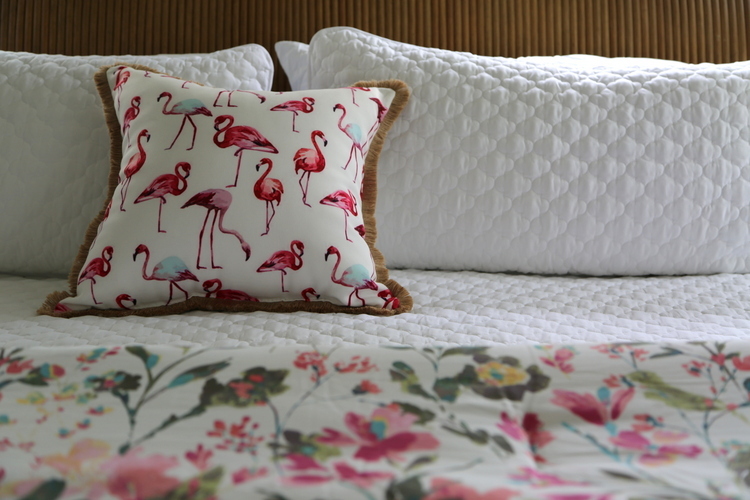 I was so happy to find this beautiful flamingo pillow – the fringe tie in perfectly to the wood tones in the bedroom furniture. Again, Silken Pines was our palette-cleanser! 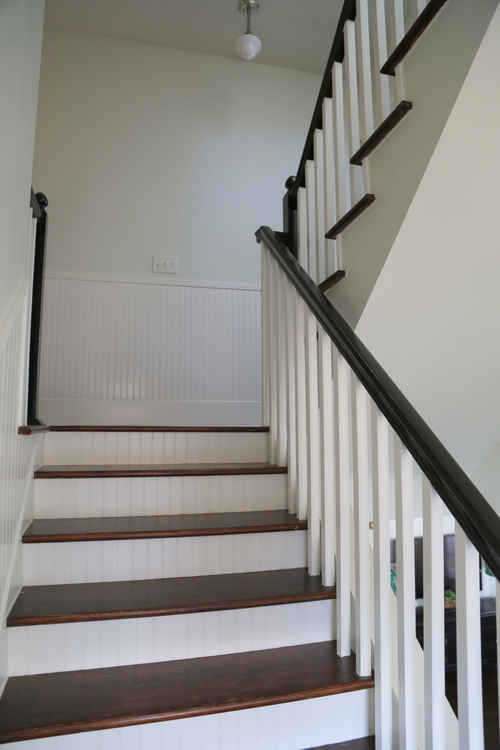 A new stain on the hardwoods and black paint on the handrails and newel posts helped, as well. I swear, y’all, there were so many different wall colors in this house!!! 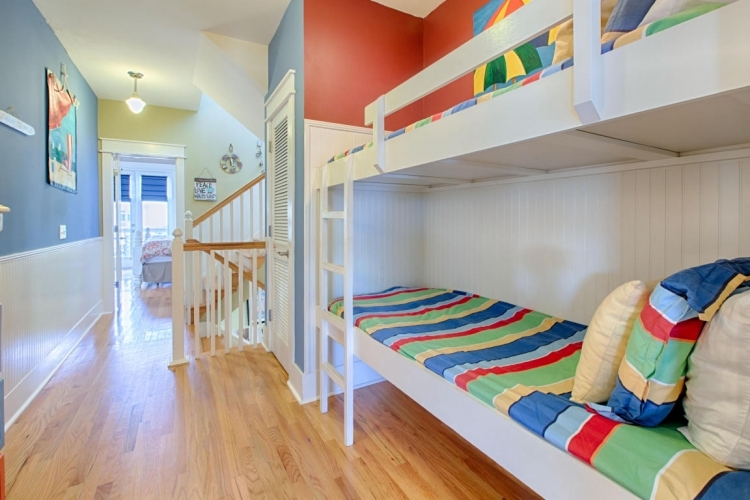 We decided to go for a more sophisticated, but still child-friendly, hallway bunk area. 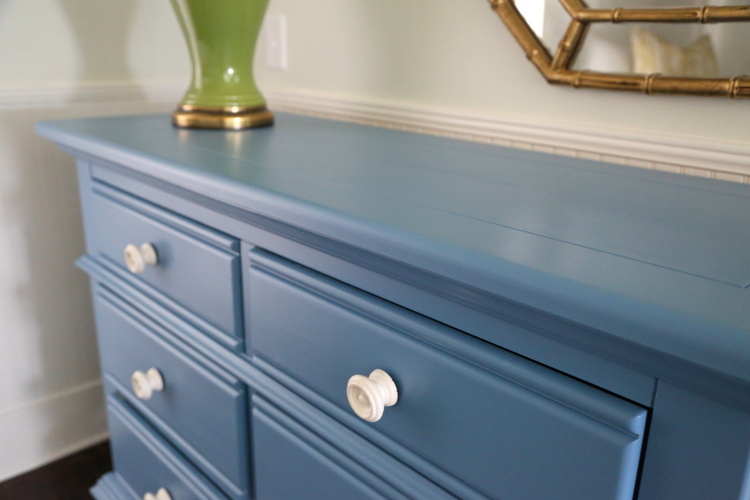 This dresser was originally a part of a set that we painted to coordinate with the new bedding. 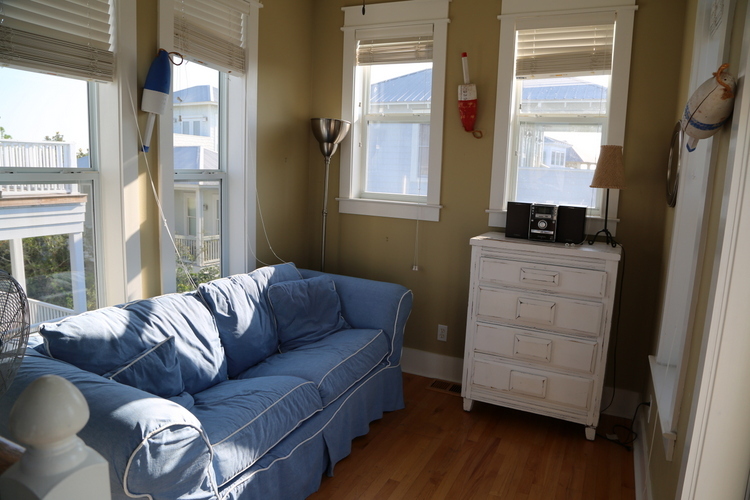 Finally, you go up another flight of stairs to the small tower room with an attached sundeck. It’s all windows up here, which necessitated adding an extra heat/air system that nestles into the ceiling. 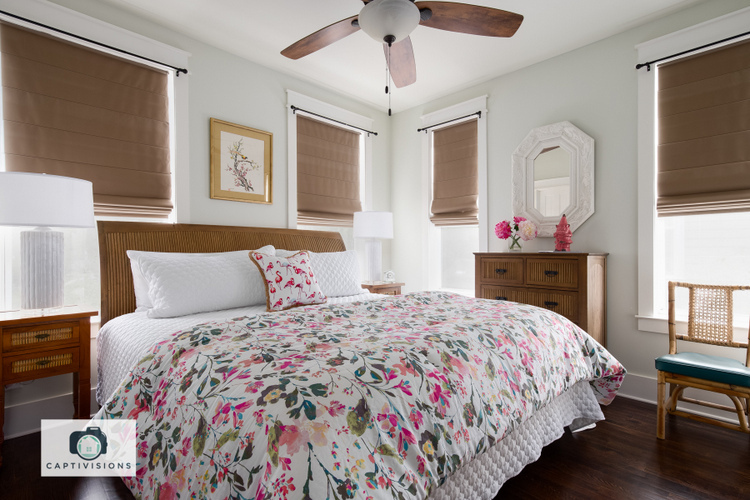 It’s called a mini-split, and is a great option for room additions or repurposed areas that need extra heating and cooling to make them more functional year-round. In its “before” state, there was a rumply old pull-out sofa up there where it was too hot to sleep. 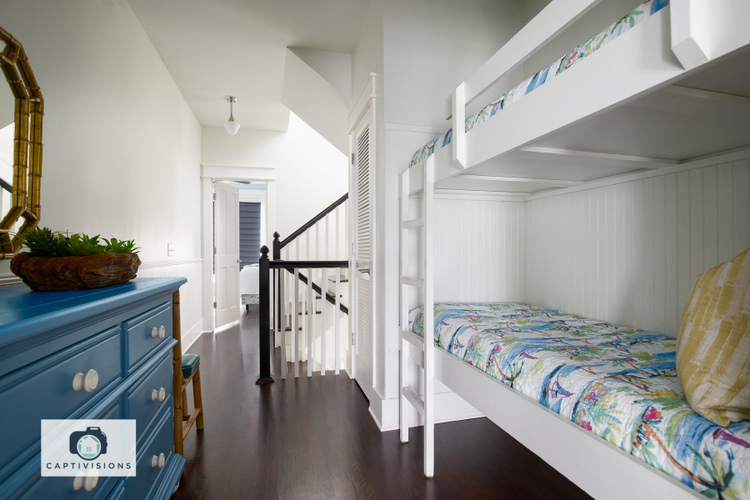 We repurposed the space as another bunk room – this bunk bed includes a trundle beneath. With the new heat/air unit, it’s as pleasant as the rest of the house. When on vacation here in October, we had to evacuate for a few days early because of Hurricane Michael. 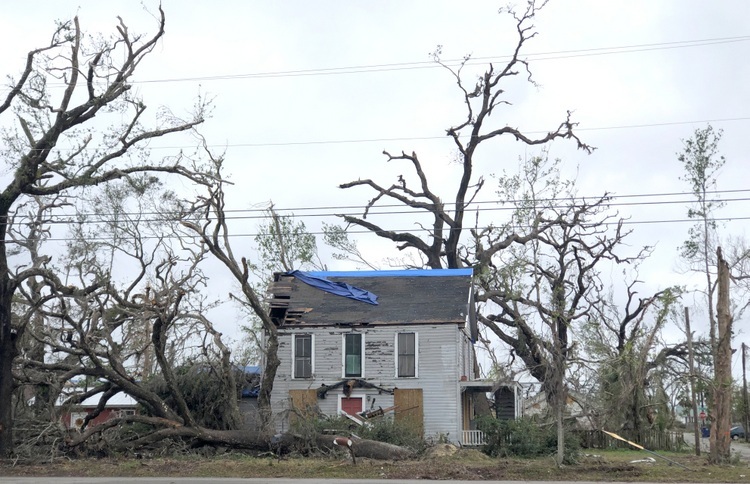 While Seagrove Beach was not impacted, nearby Panama City Beach and Mexico Beach were mercilessly pummeled. 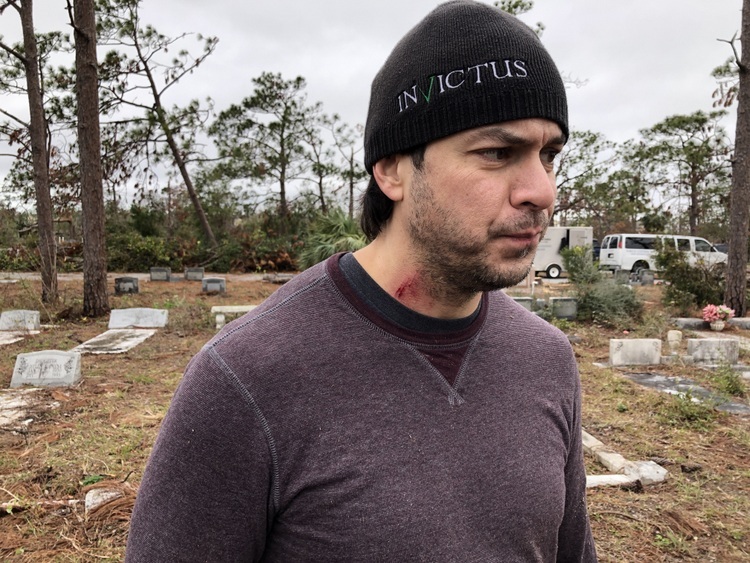 While we were in the area last week, we decided to join a group of volunteers from an amazing disaster relief organization to help with hurricane clean-up about an hour from where we were staying. To my surprise, we were assigned to assist the chainsaw team working at a cemetery. 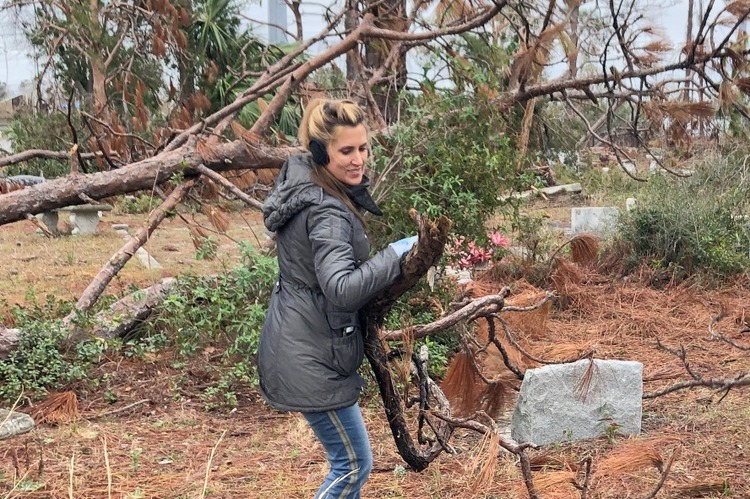 We cleared debris, hauled and stacked cut logs, and uprighted overturned gravestones and floral arrangements. Mr. Man sustained a minor injury while trying to show off by doing an overhead press with a jagged log (now that it’s healing, it looks like I gave him a hickey). It ended up being a day of contemplation and gratefulness, followed by a great night’s sleep and a lot of sore muscles . . . 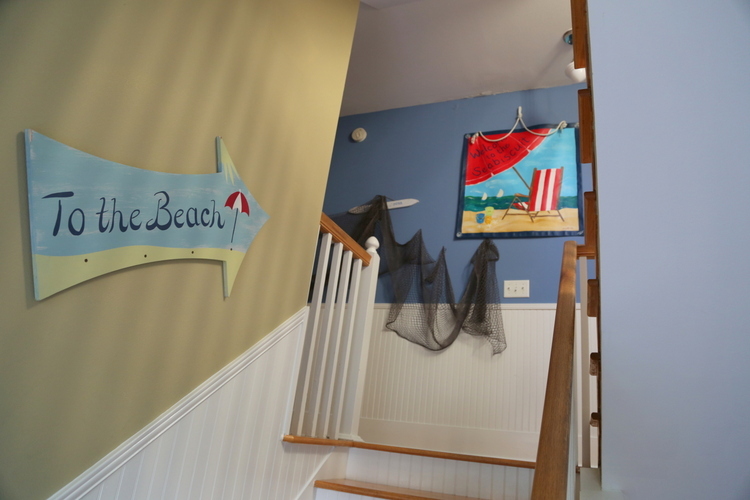 If you’d like to see the entire beach vacation house or maybe even rent it out yourself, you can find it here. 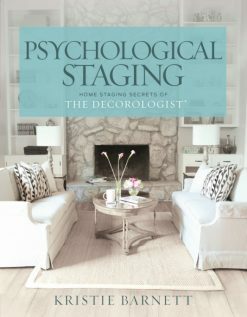 Our 3-day Expert Psychological Stager™ course is six weeks away and is currently half filled. Please sign up soon if you’d like to attend, and let us know if you have any questions! Click here to find out more. 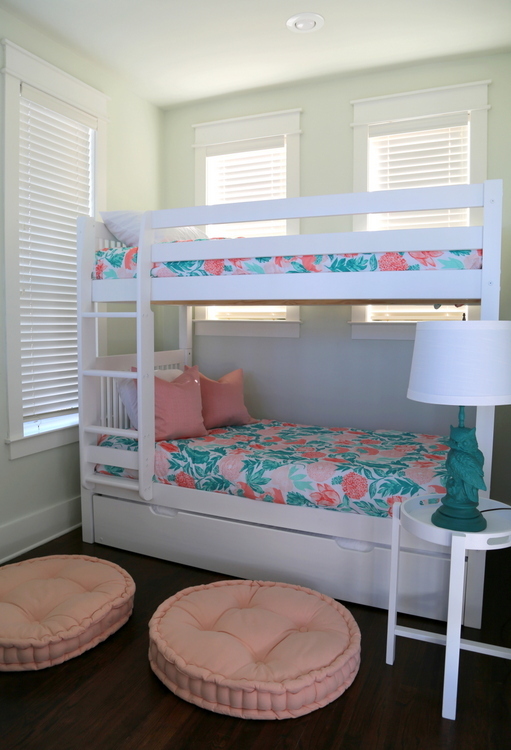 This entry was posted in Design Intervention and tagged bedroom design, bedroom ideas, bedrooms, bunk area, bunk room, bunkbeds, bunkrooms, decorating, interior design, paint colors. 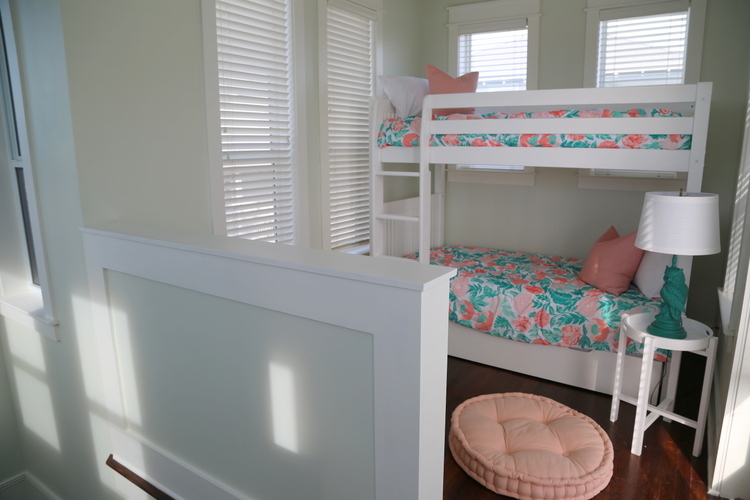 I loved the Benjamin Moore Silken Pink paint color, and the hallway bunk beds. What a wonderful getaway! 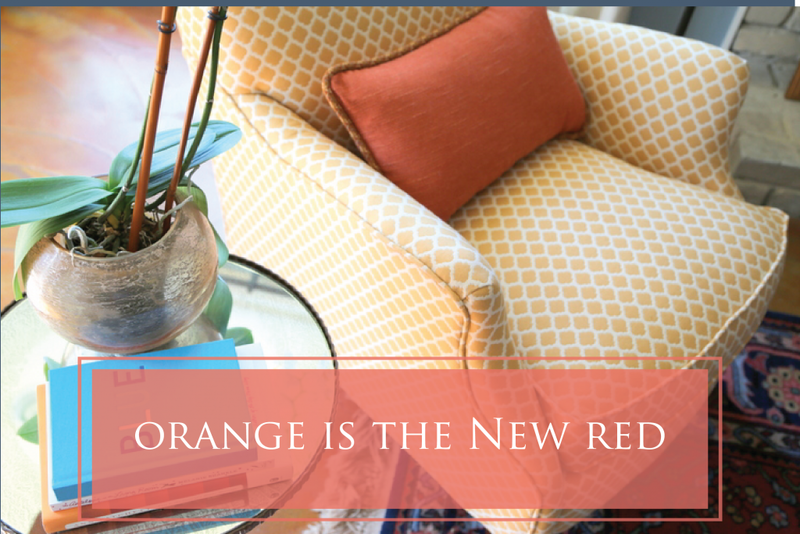 Thank you, Michelle – Silken Pine is so refreshing, without being a plain, stark white. I think it worked well here! 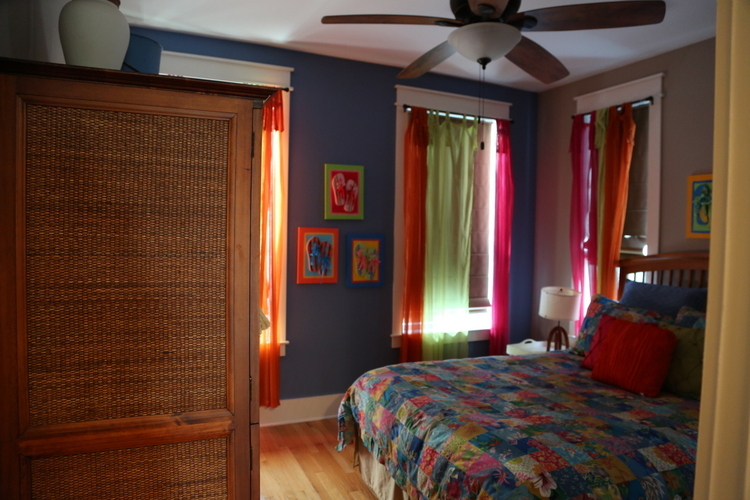 Kristie, what lovely rooms! You are always an inspiration … in design and in your willingness to help others! You are very kind to say that, Lynne – thank you! another incredible job my friend! I love the owl lamp! Thanks, Lezlie! It was originally brown – I had to paint it green! What a difference! It is all fabulous! 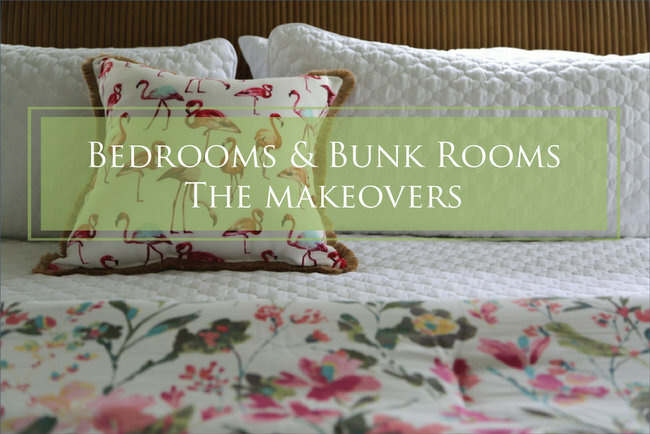 Do you know if the white curtains in the first makeover can be purchased locally or online? They just might work for me. Thank you for volunteering. I’ve heard the area still has a long way to go and much more to do. Thanks, Pam! 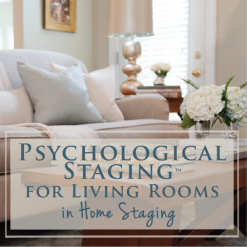 I purchased those curtains locally, but unfortunately they have since been discontinued. Love the green room!! You are so talented. 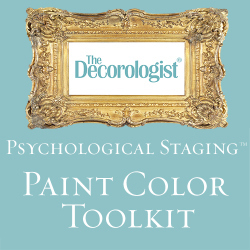 You took an over-decorated house with too many colors and turned it into a peaceful+ beautiful, relaxing retreat. What a gorgeous transformation!!! Love this one SO much. Can you tell me where you got the window treatments for the flamingo pillow room? Thank you! Thank you, Jackie. 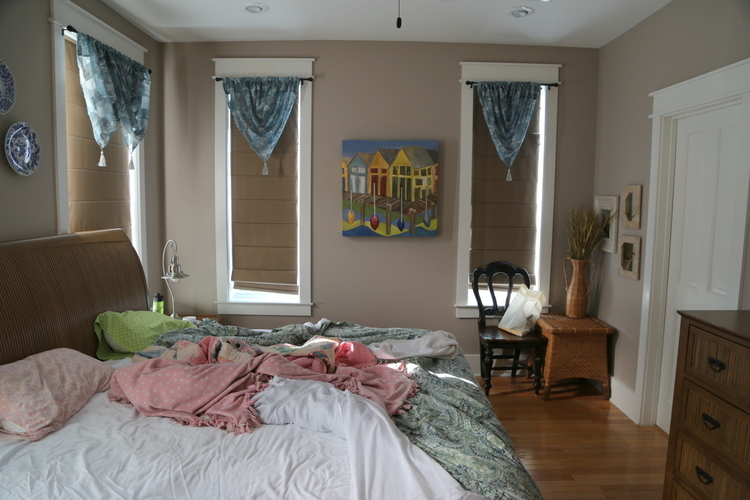 The original shades on the windows of both rooms were the one thing we kept – it saved $$$ we were able to use elsewhere. I’m sorry I don’t know where they were from – but definitely from about a decade ago! What a beautiful transformation. 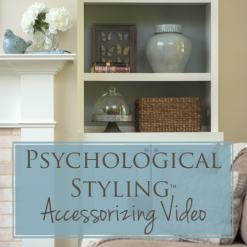 From loads of color to sophistication. Such wonderful choices were made to give this a massive update. Well done!! Great job, Kristie! 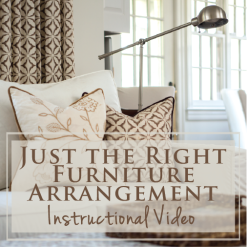 The paint alone made a huge difference, but all the furnishings made it so inviting! You have such great vision – and awesome follow through. And bless you for helping with the hurricane clean up, my heart really goes out to all of the people affected by natural diasters. What color blue did you use on the dresser across from the bunk beds?